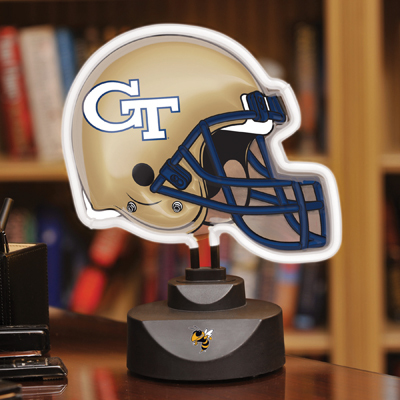 Let your team spirit shine and add to your home décor with this officially licensed Georgia Tech Yellow Jackets neon helmet & cap desk lamp from The Memory Company®. This desk lamp is made of durable plastic and is accented with the team insignia or league logo in authentic team colors. The helmet and cap graphic is vacuum formed for a superior 3-D effect displayed on the front of the lamp base.